This popular series offers nonfiction reading passages with comprehension questions on a variety of subjects for students in second grade through junior high school and beyond. Topics and questions prepare students for standardized tests and provide valuable practice in nonfiction reading comprehension. The entire Reading Comprehension series is particularly useful in a classroom that has students of varying reading abilities. Themes such as Great Americans and What Do You Think? reappear in each book, with the exact focus of the passage changing according to the level of the material. Four illustrated workbooks contain stories, brief articles, and poems in seven subject areas: general topics, social studies, science, logical thinking, mathematics, literature, and the arts. The variety of the selections gives students practice in reading about a wide range of subjects. Book C is for Grade 3. Answer Key is included. This popular series offers nonfiction reading passages with comprehension questions on a variety of subjects for students in second grade through junior high school and beyond. Topics and questions prepare students for standardized tests and provide valuable practice in nonfiction reading comprehension. 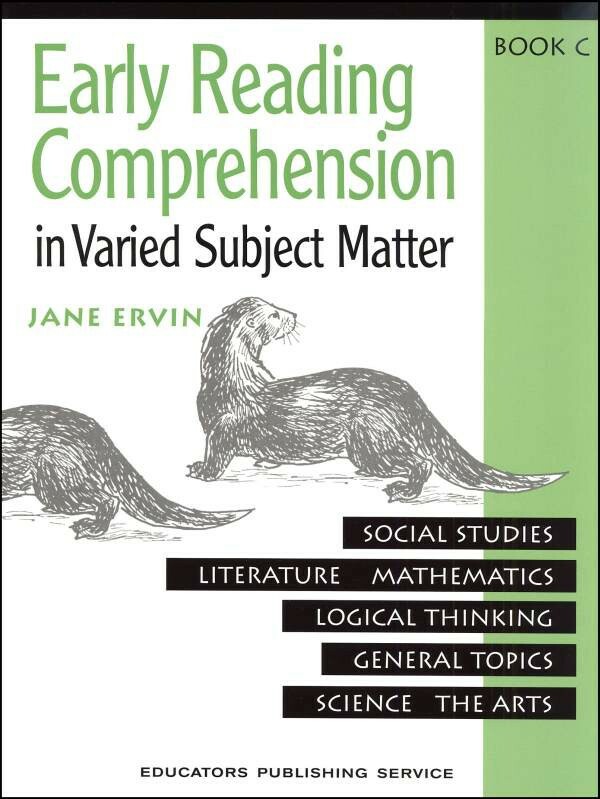 The entire Reading Comprehension series is particularly useful in a classroom that has students of varying reading abilities. Themes such as Great Americans and What Do You Think? reappear in each book, with the exact focus of the passage changing according to the level of the material. Early Reading Comprehension Four illustrated workbooks contain stories, brief articles, and poems in seven subject areas: general topics, social studies, science, logical thinking, mathematics, literature, and the arts. The variety of the selections gives students practice in reading about a wide range of subjects. Skills Addressed  Story elements  Literal comprehension questions  Recalling the main idea and details  Sequencing  Matching vocabulary words with meanings  Writing in response to reading passages Book C is for Grade 3. Answer Key is included.